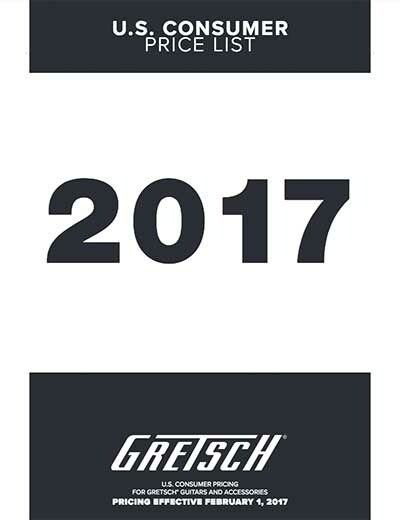 Get the latest U.S.-pricing for Gretsch instruments, parts and accessories. Please note that these prices reflect U.S. Retail prices only; they do not reflect the prices of any country other than the U.S. Prices in other countries may vary due to tax schedules, tariffs, import/shipping charges and duties imposed by customs. In addition, keep in mind that this price list is to serve as a guide only— actual dealer prices may vary.